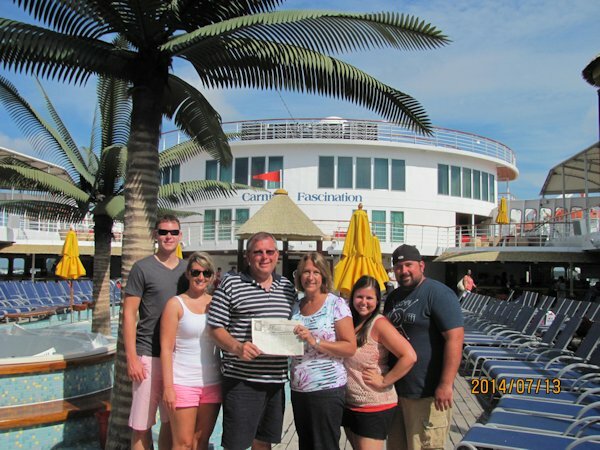 Jerry and Pam Brown, Jeremy and Chalee Brown, and Jason and Marissa Poulter took "The Quill" along on a cruise to the Bahamas. They were celebrating Jerry and Pam's 35th Wedding Anniversary and they had a wonderful time! They snorkeled and saw several beautiful fish and they traveled to the waterpark at the Atlantis Paradise Island. While at the waterpark, they enjoyed several waterslides, including one that was inside of a sharktank, and they also enjoyed the Atlantis River Ride. They loved the cruise atmosphere, great food, and good entertainment. Their trip was a memorable experience and a perfect way to celebrate an anniversary.